Access to your finances is closer than you think! Our Online Banking service provides you fast, secure, 24-hour access to your accounts. 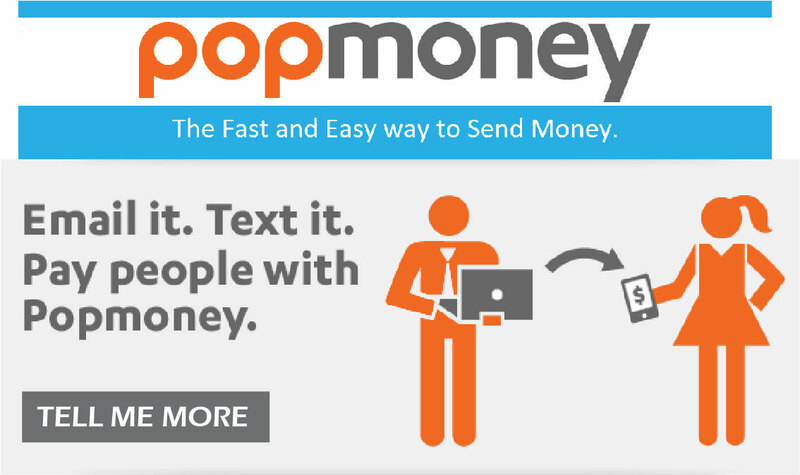 PopMoney – Sending & receiving money is as easy as texting or emailing!